New Orleans is often referred to as a “European city” and for good reason. Throughout our French Quarter neighborhood, you’ll find the influences of Spanish and French architecture. Each December, you’ll also find another European influence: the Christmas tradition of Réveillon dinners in New Orleans. Each holiday season, many New Orleans restaurants partake in this luxurious tradition by offering a special menu, including our very own Criollo Restaurant. Predictably, the food is delicious and the feast is festive, but do you know the history and birth of the Réveillon dinners in New Orleans? 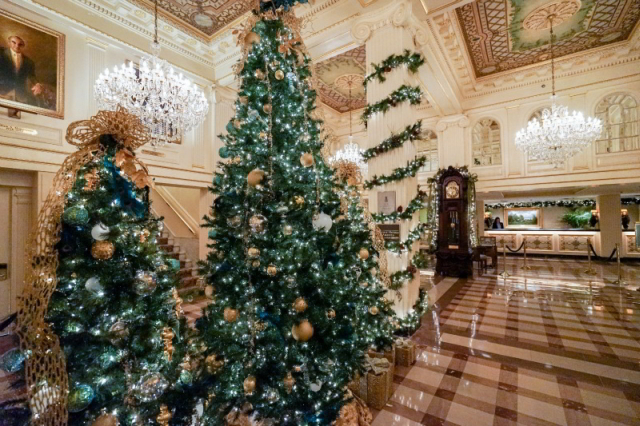 A glimpse of our opulently decorated lobby during the holidays. The tradition of Réveillon dinners in New Orleans arose in the 19th century. Creoles living in New Orleans adopted the tradition from the Europeans, and celebrated the “Réveillon,” a French word meaning “awaken.” The name comes from the wee hours of the morning in which the meal traditionally took place. Families would join together on Christmas Eve and attend Midnight Mass together. Christmas Eve would be celebrated with a daylong religious fast, which the Catholic Creoles would break once they returned home from church. The meals would be expansive and elaborate, with chicken and oyster gumbo, game pies, soups, souffles, lavish desserts, brandy and coffee. Catholic Creoles would then celebrate a second Réveillon on New Year’s Eve, an affair even more elaborate than the Christmas Eve celebration. Enjoy an exclusive 5-course Reveillon dinner this December at Criollo. Today, Réveillon dinners in New Orleans are now celebrated throughout December on the evenings leading up to Christmas Day. You don’t have to stay up past midnight to indulge in these meals in modern times. And now all are welcome to join in on the feast. Hotel Monteleone’s own Criollo Restaurant offers a prix fixe menu during the month of December in honor of the Reveillon dinners. At $75 a person, this exclusive 5-course menu includes a fantastic array of dishes at a price that’s too good to pass up. 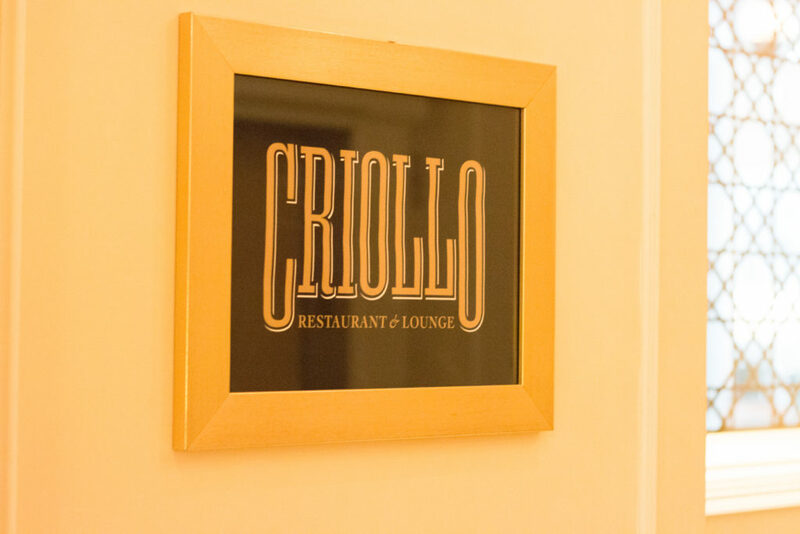 Let’s take a look at this year’s Reveillon menu at Criollo. Fun Fact: In Provence, France, Réveillon dinner is followed by the tradition of 13 separate desserts. Better save room! In addition to an exclusive menu from Criollo, Carousel Bar will be offering a special “Reveillon on the Rocks” cocktail menu. Join Criollo at Hotel Monteleone for a Réveillon Dinner! The Criollo Réveillon Dinner will be served throughout the month of December. To make reservations, please call (504) 681-4444 or make a reservation online.